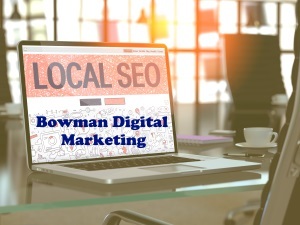 Bill Bowman Marketing is a web design and digital marketing company that has been working in the industry for many years now. In that time we have developed a reputation for providing first-class professionalism and quality at unbeatable prices. At Bill Bowman Marketing, we believe that this highly professional and effective level of service should be available to everyone from small businesses to individual entrepreneurs. That’s why we strive to bring the kind of premium quality you associate with those A-list brands in an affordable package. Our dedication is to providing the very best design and marketing services for the best prices on the net. Another thing that sets Bill Bowman Marketing apart is our commitment to transparency and communication. We like to keep our clients informed at every step of the way and offer a friendly customer service that will always be available. We offer all of our clients a completely free price quote and consultation, so if you’re thinking about working with us give us a call or drop us an email and we’ll start discussing your options.